Going through my binder of clippings I came across this lovely sitting area that would be great to nestle up with a book. 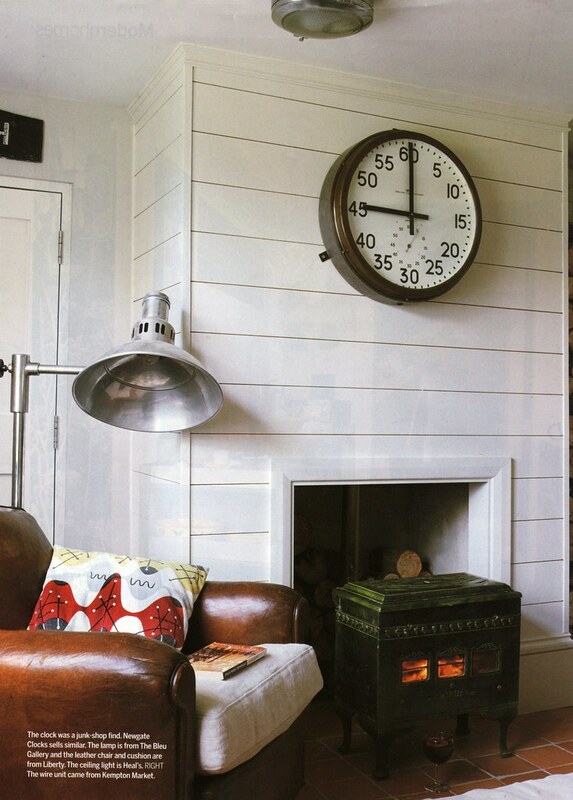 Industrial style + coziness, yes please -- and that over-sized clock! Oh wow - I could sit here for hours and hours just staring at that great big clock! I love it! that clock is out of this world! i love it! love the white wood very much..so clean and chic! i love that clock. genius.